Maybe it’s an itch that just won’t go away. Maybe it’s a daydream buster – Aw dang, I didn’t think of that. Or, maybe it’s a recurring nightmare that runs you ragged each and every night. Yep, we’re talking about hardware-assisted verification. It ain’t easy and nobody ever said it was going to be. 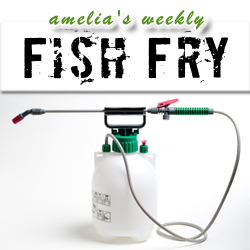 In this week’s Fish Fry my guest is Frank Schirrmeister from Cadence Design Systems. We chat about why hardware-assisted verification is on everybody’s mind these days, and what we can do to make our verification lives a whole bunch easier. We’ll also tell you how you can join the IoT party with Atmel’s new SAM D20 Cortex M0+ family, and our giveaway this week is an Atmel AVR Butterfly (courtesy of Newark element14). Enter to win an Atmel AVR Butterfly courtesy of Newark element14.